What is sepsis? How does it detrimentally affect the body and why? Sepsis, according to the new clinical definition of sepsis, is organ dysfunction caused by the body’s dysregulated response to an infection. For yet unclear reasons, the immune system of the body is fighting the infection in an uncontrolled way, thereby attacking the infection as well as causing significant damage to vital organs such as kidney and liver. Sepsis is common, with about 20 million patients/year in the developed world. It can escalate to septic shock, which is a life-threatening condition with a mortality rate of about 40%. In fact, about every second someone in the world dies of sepsis. How might sepsis present in the emergency room? What complicating factors make this diagnosis difficult? The symptoms in patients with sepsis admitted to the ED can be very diffuse and nonspecific. Often these patients have fever, often their heart rate and breathing are faster than normal, and often their blood pressure is below normal. Also quite common are mental effects, like disorientation, absence, and so on. Diagnosis of sepsis in ED is difficult as many other prevalent diseases can cause similar symptoms. In fact, the current consensus is that diagnosis of sepsis should not be based on one biomarker, but rather on the overall clinical status of the patient, and signs of organ dysfunction and infection. What challenges does sepsis create in the emergency department? The main challenge is the early confirmation that the patient is infected – or not, as this would indicate the immediate start – or not - of effective antibiotic treatment to fight the infection. How is sepsis diagnosed in the emergency department? What is currently used as the gold standard? Sepsis is diagnosed when organ dysfunction has emerged and when this can be attributed to the body’s dysregulated response to an infection. Infection is diagnosed by a positive culture result. At entry, and prior to start of antibiotics, relevant samples are taken (blood, urine) and cultured to find out whether certain pathogens are present. Because these culture results become available 24 hours after sample collection at the earliest, it is clear that especially start of antibiotic therapy cannot wait for these results. Organ dysfunction is typically assessed with a clinical scoring system, typically based on organ function biomarkers for each of the various organs (like creatinine for kidney, and bilirubin for the liver). Also lactate levels help in the diagnosis of sepsis, with levels >2 mmol/L, indicating hypoperfusion and high risk for sepsis. How are sepsis biomarkers used to detect sepsis? What biomarkers can be used? Sepsis is detected by increasing organ dysfunction, calculated by an increasing SOFA score of at least 2 points. SOFA stands for Sequential Organ Function Assessment. Typical markers are the aforementioned creatinine and urine output to assess kidney function, serum bilirubin levels to assess liver function, blood oxygen saturation to assess lung function, platelet number to assess coagulation, mean arterial pressure to assess the cardiovascular system, as well as the Glasgow score to assess mental status. Alternatively, one can use the so called “quick-SOFA” indicators to easily and quickly assess organ function. Of the three markers; altered mental status, respiratory rate greater than or equal to 22 breaths/min and systolic blood pressure less than or equal to 100 mm Hg, at least 2 need to be positive to indicate a high risk of underlying organ dysfunction. Infection can be diagnosed directly through the aforementioned cultures or by nucleic acid testing (NAT), or indirectly by measuring the level of certain biomarkers released in the blood because of the ongoing infection. Can you give me a brief overview of how they differ? The direct testing by culture (bacteria, fungi) or NAT (all pathogens) shows that certain pathogens or their nucleic acid are present in the patient’s specimen. Indirect testing will measure levels of a biomarker known to increase in the circulating blood because of infection. One of such markers is procalcitonin, which is typically released upon bacterial infection. What is procalcitonin (PCT)? What advantages does PCT have as a biomarker for sepsis? PCT is a prohormone of calcitonin, and normally produced and processed in the thyroid gland without being released as PCT into the circulation. Various cytokines can induce the production and release of PCT in most organs, causing PCT levels to rise quickly. The strongest cytokine to induce PCT is endotoxin, as released from bacteria during infection, making PCT a sensitive marker of bacterial infection. PCT can be determined quickly, especially at POC in ED as well as in ICU, and correlates well with the level of cytokines and severity of infection. It provides a valuable tool to monitor the effect of antibiotic management. In the ED it can support the immediate start of antibiotics, and in ICU and other locations it can help avoiding the overuse and ineffective use of antibiotics. What are the limitations of using the PCT biomarker in the diagnosis of sepsis? Although the sensitivity of PCT for bacterial and fungal infections is great, and the risk of false negatives therefore limited, we need to be aware that sensitivity for viral infections is limited. Also, many other inflammatory conditions can be associated with increased levels of PCT, including major trauma and burns. It remains therefore of the utmost importance to take all clinical and diagnostic information into account before diagnosing a patient. 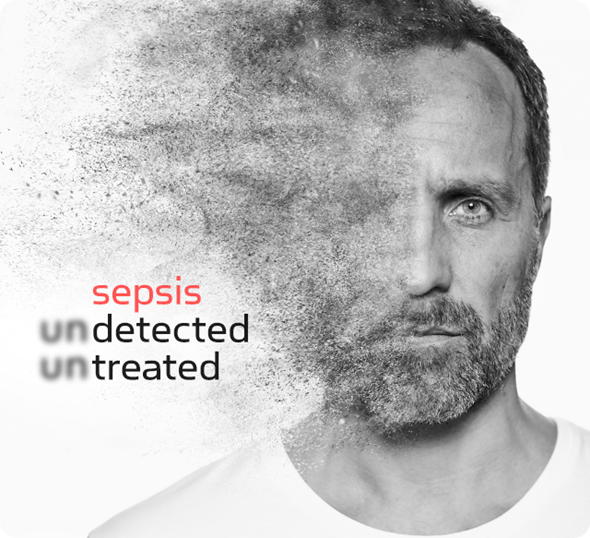 What does the future hold for diagnosis of sepsis? There are a number of international organizations like the Global Sepsis Alliance (GSA) dedicated to improving awareness of sepsis and committed to further improve diagnostic and therapeutic algorithms (Surviving Sepsis Campaign - Guidelines), which organize an annual World Sepsis Day on September 13th and a major online World Sepsis Congress on September 8th and 9th. Affiliated medical organizations like the European Society of Intensive Care Medicine and the Society of Critical Care Medicine (USA) organizations have recently published a new definition and clinical profile of sepsis (Sepsis-3) to further improve the clinical management of sepsis. With respect to sepsis management itself, we can expect more emphasis on early recognition and effective treatment of infection. Because septic shock is still associated with a mortality of around 40%, preventing patients with sepsis from developing septic shock is probably one of the most important clinical targets at the moment, also because the treatment costs of such patients are very high. Considering also that the prevalence of sepsis is increasing, and no specific medication to fight sepsis is currently available, we need to focus on early detection of severe infection and on immediate, efficient and effective antimicrobial treatment. Jordi Trafi is the global marketing Director for the AQT90 FLEX analyzer, Radiometer’s platform for testing of biomarkers in acute settings. 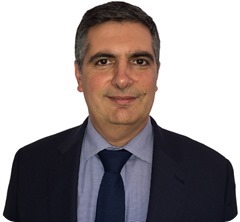 Originally studying pharmacy, Jordi has worked 24 years in the in vitro diagnostic industry, including companies as Boehringer Mannheim (now Roche), Dade Behring (now Siemens), Siemens and Radiometer. He visited hundreds of clinical laboratories and point of care settings either as clinical application specialist or marketing responsible, identifying the clinical needs that the in vitro diagnostic products should satisfy. His areas of expertise include cardiac and infection biomarkers, drugs of abuse testing, therapeutic drug monitoring and immunoassay and clinical biochemistry technologies.